Task: to add some winter fun to an instant lottery. The instant lottery is made to look like a snowball fight. Pushing the Start button, the player activates the random number selection mechanism. 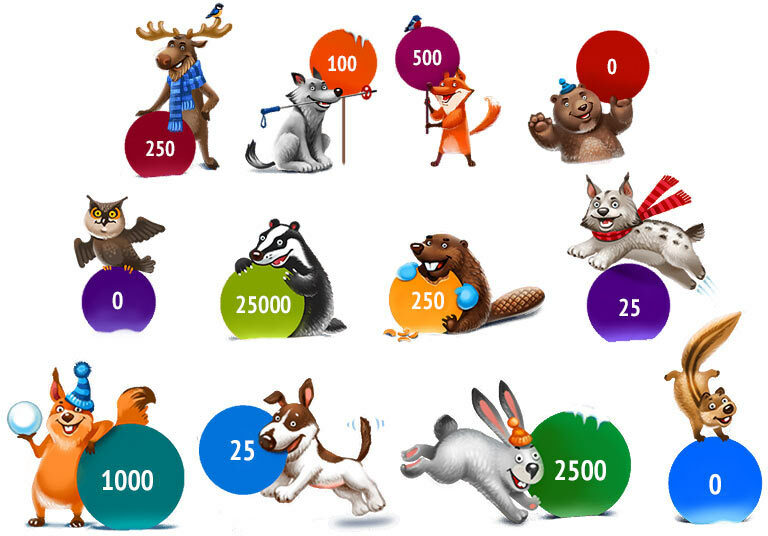 If lucky, it will result in hitting the animal holding the snowball with the prize. The action takes place in a winter forest. A number of characters were created for the game.